I read this article and found it very interesting, thought it might be something for you. 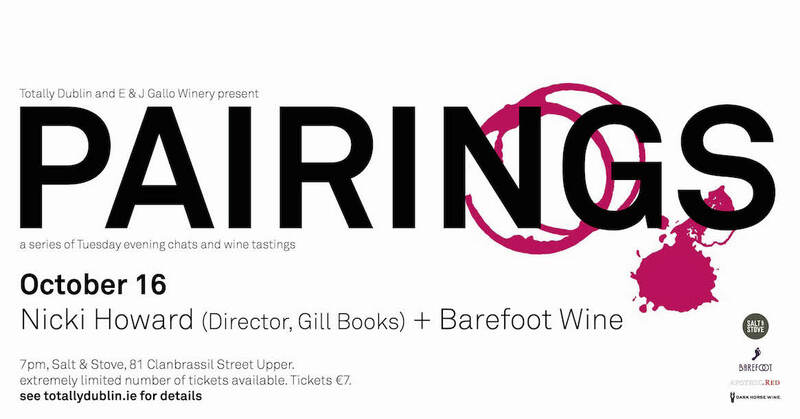 The article is called PAIRINGS : Nicki Howard (Gill Books) + Barefoot Wine and is located at https://www.totallydublin.ie/event/pairings-nicki-howard-gill-books-barefoot-wine/. We’re teaming up with E&J Gallo to present: Pairings – a series of conversations and wine tastings on a Tuesday evening. Each event will last app. one hour and starts at 7pm. Limited Tickets. Over 18s only.